IS IT SIRIKADHEY AFTER SENJITALEY? Releasing song singles one after another is the latest trend. 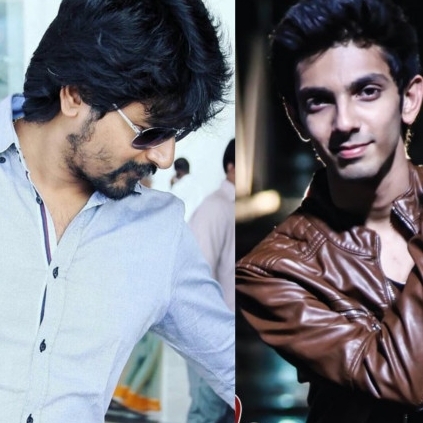 Last year, Anirudh's Naanum Rowdy Dhaan audio tracks followed this which was well received. Many movies in recent time have been adapting this promotional style and the latest to join this list is Sivakarthikeyan's Remo. Team Remo has already released two singles which have turned out to be chartbusters. The lyric video of song Senjitaley crossed 2 million YouTube hits recently. Reports say, after the tremendous reception, the team has decided to release their next single which is reportedly called Sirikadhey. This song is said to be a melody. The release date of this single is will soon be announced by the team. Remo is directed by debutant Bakkiyaraj Kannan and is releasing on October 7th worldwide. Keerthy Suresh signs her next! People looking for online information on Anirudh Ravichandar, Baakiyaraj Kannan, Keerthy Suresh, PC Sreeram, Remo, Sivakarthikeyan will find this news story useful.